Geotech sells used equipment from our rental department when we need to make room for newer models. 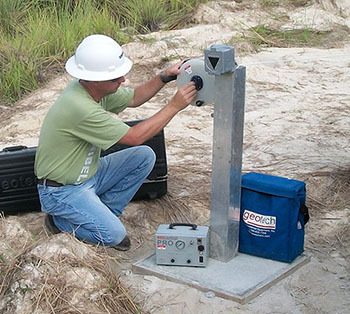 Geotech's used equipment inventory includes water quality instruments, low flow water sampling pumps, photoionization detectors (PIDs), groundwater remediation pumps and more. All of the equipment has been inspected and re-conditioned by Geotech's repair technicians to meet factory specs and they come with warranties. 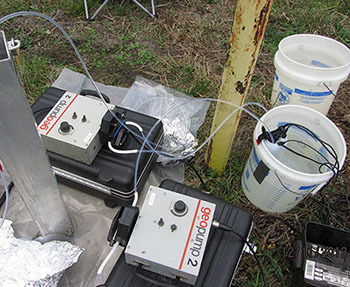 Most of the equipment are sold as kits, the same kits that Geotech rents. This makes them an even better bargain because you do not have to purchase separately the accessories you need. GEM 2000 PLUS Full rental kit in good working condition. Kit includes temperature probe, blue canvas case, hard Pelican case, AC charger, tubing kit including blue and clear tubing, comm cable with software, Altef calibration bag, water trap filter, gas regulators not included. 30 days manufacture defects. Geocontrol Pro Condition is still really good, maybe a couple stains, operation is tested and works great. Comes with everything a rental kit would come with. 90 days manufacturer defects. PhoCheck 5000+ Full rental Ion Science PhoCheck 5000+ kit, units are refurbished before sale so they are working like new again. 1 year free clean & calibration. MiniRAE 3000 PID Full rental kit in excellent working condition. 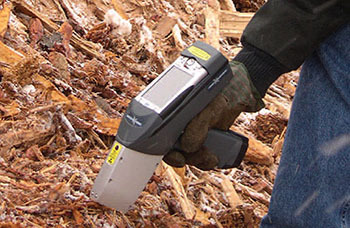 Detects VOC's at an extended range of 0-15,000ppm. All pre-owned units are Bluetooth capable, include constant-flow female regulator, spare Li-Ion battery and 10.6eV lamp. Accessories Include: Charging cradle with AC adapter, spare Li-ion battery, USB cable, spare water trap, ProRAE Studio II software, female gas regulator, air outlet port with tubing, MiniRAE 3000 User's Guide. 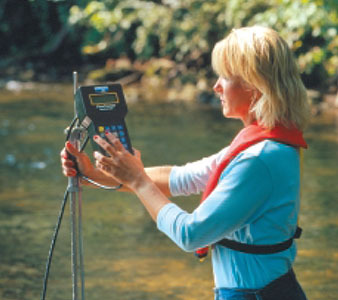 FlowTracker Handheld ADV Handheld ADV for velocity and flow measurements. Excellent working condition. Very minimal aesthetic wear. Wading rod, mounting bracket, DeWalt 100' tape measure, RS232 comm cable and USB adapter, instructional DVD, CD manual, and Quick Start Guide. 90 day Manufacturer Warranty. Full rental kit in excellent working condition. Kit includes probe/wand assembly, hydrogen cylinder, hydrogen fill assembly, battery charger, probe/filter tip, comm cable, gas regulator, 3L Tedlar bag, spare water trap filter. 30 days manufacture defects. DustTrak Environmental Enclosure Full rental kit. 90 days manufacture defects. 1 free clean & calibration in 1 year. 556 MPS Includes soft case, manual and comm cable. No barometer, cable, or probes. Unit is in good used condition and has all the factory updates. 30 days manufacture defects. Flow Cell New o-rings and hose barbs, like new condition. Non-erasable rental number engraved in unit. 30 days manufacturer defects. 1 free clean and calibration within 12 months. 1 year free clean and probe calibration. Optical Turbidity Probe 6136/6026 Optical Turbidity Probes in great working condition. 650-4 MDS 650-4 interface display with comm cable and software, in like new condition. 30 days manufacture defects. 1 year free clean & calibration. 6 Series Cable Like new condition. No picture available. 90 days manufacture defects.